Posted on February 14, 2014 by J. Sometimes a play’s title describes what happens in the play, but holds no mystery beyond that. Many of Harold Pinter’s plays are named after an event, character, or place in the play (The Birthday Party; The Caretaker; The Room). The Philadelphia Story is about journalists trying to write an article about a wedding that is taking place in Philadelphia. The Gin Game is a play about two people in a senior citizens’ home who play gin rummy together. Dial M for Murder is a clever reference to the letters on a telephone’s keypad, and follows a long tradition of using wordplay when naming murder mysteries, but has little deeper meaning. Amadeus. This play is about Wolfgang Amadeus Mozart and another composer of his era, Antonio Salieri. Salieri is the protagonist, but the play is named after Mozart, a choice which reflects the plotline. But Peter Shaffer doesn’t call the play “Mozart”. Instead, he uses the composer’s middle name. It’s worth asking, “Why?” If you look at the Latin meaning of the name, “He loves God”, you probably have your answer. But don’t stop there. Why does Shaffer want to draw your attention to this, and how should the production as a whole reflect this knowledge? 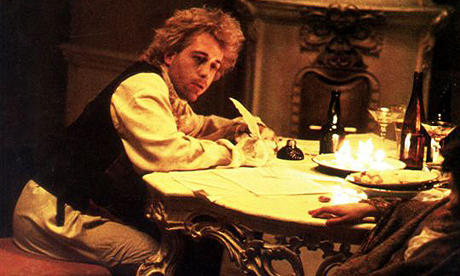 If you are playing either Mozart or Salieri, how does this focus affect your performance? The Glass Menagerie. One of the characters in Tennessee Williams’ play has a collection of glass figurines, all of which are animals. But is this the only reason for the title? Laura is not the main character of the play; why should it be named after her collection? Perhaps it refers to her family, or to humanity in general. The unicorn clearly is symbolic; whom does it represent? And why does Williams choose for the animals to be made of glass rather than wood? Is the fragility or transparency of glass important? Are all of the characters fragile, in some way – not just Laura? If you decide this is what Williams intended, it will undoubtedly change how you play your character. If you don’t observe this about the title, your Amanda or Jim may be a hardier person than if you do. Bell, Book and Candle. The title of this romantic comedy about witches refers to a method of excommunication for one who has committed a particularly grievous sin. Those last three words need to inform how the leading character feels about her actions as well as the loss of magical powers. Betrayal. Harold Pinter’s play about an affair that reveals itself in reverse chronological order is obviously about betrayal. An adulterous wife has an affair with her husband’s best friend, after all! But the title reminds us to not get lost in the details of the romance, and to remember that it is, first and foremost, about how we betray those we care about. At some point in the rehearsal process, you should look at each scene in this light, so that you keep this element front and center. The Little Foxes. 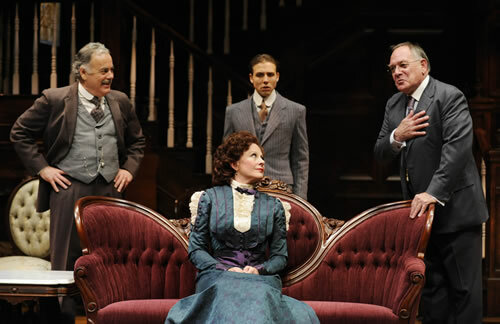 In naming this play, Lillian Hellman references a biblical passage from Song of Solomon, which reads, “Take us the foxes, the little foxes, that spoil the vines: for our vines have tender grapes.” Perhaps she uses the adjective “little” to make the reference clearer, or perhaps she is saying something about her characters by using it. The Hubbard family is obviously devious and greedy, but exploring this quote in its fullest (what or who are the vines and the grapes?) and letting it inform your character’s actions will enrich the production. Rabbit Hole. Lewis Carroll’s book, “Alice, Through the Looking Glass” turned “rabbit hole” into a metaphor for adventure into the unknown. Understanding its use in that book gives you food for thought when performing this play. Does just one person go down the rabbit hole, or do several people make that journey? What is falling into the hole like for your character? What can you, as an actor, do to give the audience a sense of that particular experience? Master Harold and the Boys. On the surface, the title of Athol Fugard’s play is simply naming the characters, but it does much more. It presages the end of the play, warning you in advance that no matter what transpires between Hally and Sam, the young boy is the “master” and the adult males are, in this society, merely “boys”. As an actor, you want that relationship to be an undercurrent throughout the play. The Crucible. A crucible is a container which has a higher melting point than whatever is inside it. Think of steel or glass being melted before being re-formed into something else. 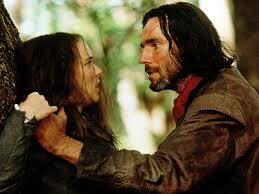 John Proctor clearly is in a crucible, but perhaps most of the other characters in the play are as well. If you are in Arthur Miller’s extraordinary play, what is your character’s melting point? Are you transformed into something better or worse than what you were originally? And how do you feel about that transformation? This entry was posted in Acting, Directing, Script Analysis and tagged Acting, acting technique, Actor, Community Theater, Script Analysis. Bookmark the permalink.